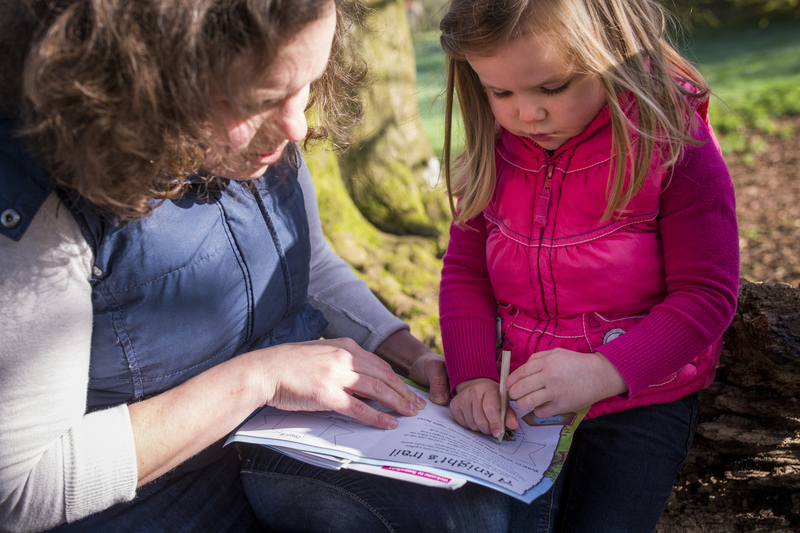 There is fun for all the family this Easter holiday with Bodiam Castle’s nature-inspired Cadbury Easter egg hunt (pictured above). Look for clues around the grounds and claim your chocolatey prize. Or how about trying your hand at the medieval skill of archery with expert tuition on hand from the Hawking Centre team? For the budding young artists amongst you, you can create an Easter egg pot or hanging decoration to take home. Finally, if you need a break from all that activity, let one of their storytellers enchant you with stories of times gone by or simply enjoy sitting and enjoying the beauty of the castle with a snack or ice cream. Don’t forget to visit the Castle gift shop for the perfect souvenir of your day. Bodiam Castle’s Cadbury Easter egg hunts are available from Sat 6 April until Mon 22 April from 10am until 4pm, £3.00 per person. Normal admission charges apply. Porto’s Flowers would like to give children the opportunity to engage in a hands-on Terrarium Workshop (16 & 17 April) where they will make their very own glass terrarium to take home! Children will learn the process of terrarium making as well as how to take care of their living indoor glass garden with plants and decorative pieces. All children ages 7-12 years old are welcome, no experience necessary. Children should wear clothes which they don’t mind getting dirty. All contents, glass vessels and tools are supplied. Who said wreaths are just for Christmas? 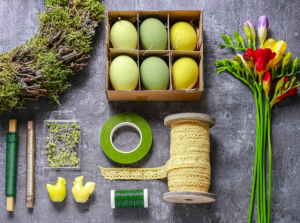 Join Porto’s Flowers for their Easter Wreath workshop (16, 17, 18 April) and learn how to create a stunning design to add colour and texture to your door or home interior – the perfect way to welcome the start of a new season. Using traditional, natural materials, spring blooms and fresh foliage, this is the time to get creative. Last but not least, in the Centrepiece Workshop (20 April), create a stunning Easter-inspired flower design for your home. All beautiful flowers and materials will be provided. Easter workshops at Porto’s Flowers are available from Tues 16 until Sat 20 April. Prices, dates and times for each class vary. Please visit Porto’s Flowers’ website for further information. Experience the eclectic sights, stories and tastes of independent foodie Brighton this Easter, with Brighton Food Tours. 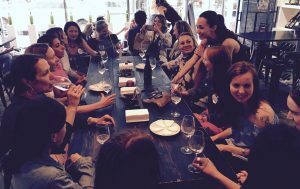 Join one of their award-winning, signature V.I.B (Very Independent Brighton) Food Tours to get down and dirty with some of Brighton’s best indie food producers and street-food vendors. Over approximately three hours and seven different stops, The V.I.B Tour takes you on a magical mystery tour of some of the best foodie hotspots that quirky, independent Brighton has to offer. Discover the unique makers and unsung heroes of Brighton’s indie food & drink scene. Hear the stories, passions and politics behind the food and, best of all, try lots of tasty samples… You might visit off-the-beaten-track street food stalls, hear about eco-aware sustainable food systems, get down and dirty with the most passionate burger-makers in town, meet food industry revolutionaries, re-live the quintessential old-school seaside Brighton… and a whole lot more. Suitable for omnivores, vegetarians and vegans alike, and advance booking is essential. The V.I.B Food Tours of Brighton are available to book on Fridays and Saturdays leading up to Easter (5, 6, 13, 14, 20, 21) from 11am until 2pm. £40pp inc. all food & drink tastings, (equiv. to a light lunch) and exclusive discounts at participating vendors. Experience something out of this world this Easter break at Brighton’s down to earth virtual reality cafe. Take on the zombie hoard with your friends, explore the cosmos or relax with some VR painting – there’s something for everyone. Located on the first floor above Presuming Ed Coffee House, GOVR makes mindblowing VR mindbogglingly simple to enjoy – and wash down with Presuming Eds lovingly crafted coffee. Book a time slot in advance, drop in or take part in one of our gaming nights – all at GOVR’s signature-low prices. 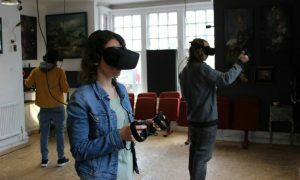 Four VR stations are available at the VR cafe – each VR station can be shared by a maximum of 4 people. VR games are available for ages 7 and above. £5 for 20 minutes. £15 for one hour. Pricing is per headset not player, so you can book one headset and share it in a group to split the cost. Book more than one headset to play multiplayer VR games together! Drop into GOVR on London Rd or book your VR session online. Concession tickets are available. Opening times vary so head to their website for more information.